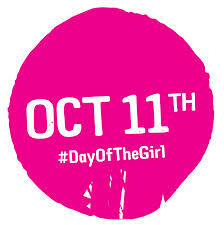 It’s the UN’s 3rd Annual Day of the Girl! In light of Malala Yousafzai’s Nobel Peace Prize, I’m guessing there will be even more press coverage and think pieces than usual, which in some ways is great. But I think it’s worth making note of the way these stories are framed and pushing back against rhetoric that depicts girls’ education as just an economic investment or panders to people’s emotions or draws on the idea that “she could be your mother/sister/daughter.” Is this mission to educate girls–to educate all children–about expanding opportunities and striving for gender parity or is it just about a feel-good neoliberal agenda?